Attempting to see the highlights of Oslo in one day, we disembarked our cruise ship in the capital of Norway. This is not the optimal way to see this beautiful city. However, for us, it was our only option as it is the final port of our cruise through the majestic Norwegian Fjords before we head back to Southampton in the UK. 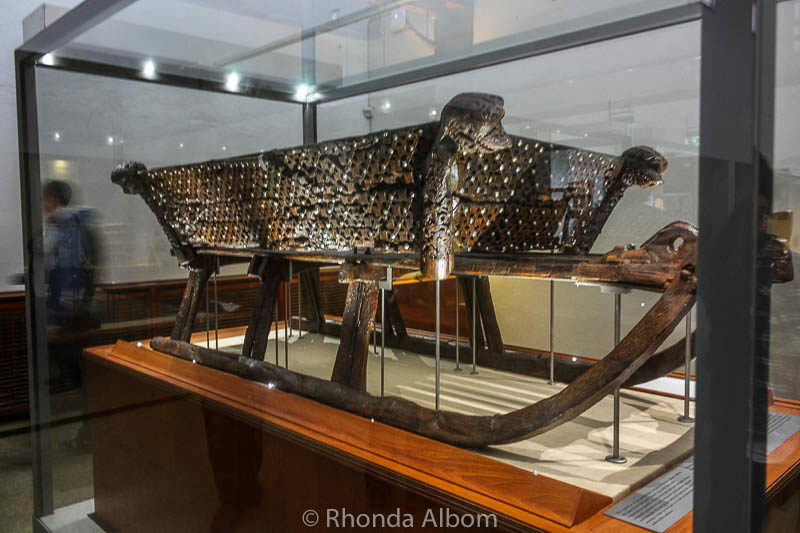 A bit of research with Lonely Planet Discover Europe and our must-see list included the Viking ship museum, the ski jump, and the sculpture gardens. Olso in one day was too big an ask, but we were going to make the best of it. None of the ship’s excursion options covered it all, and we hadn’t been too impressed with the lack of professionalism of the staff on the past MSC excursion we took, so we opted to hire an independent private guide. 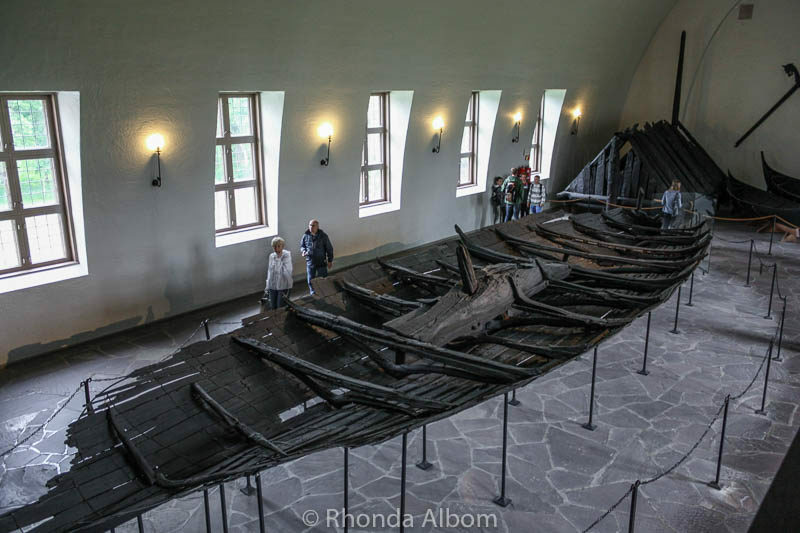 Our first major stop was the Vikingskipshuse – the Viking Ship Museum, home to some of the best preserved Viking ships ever found. 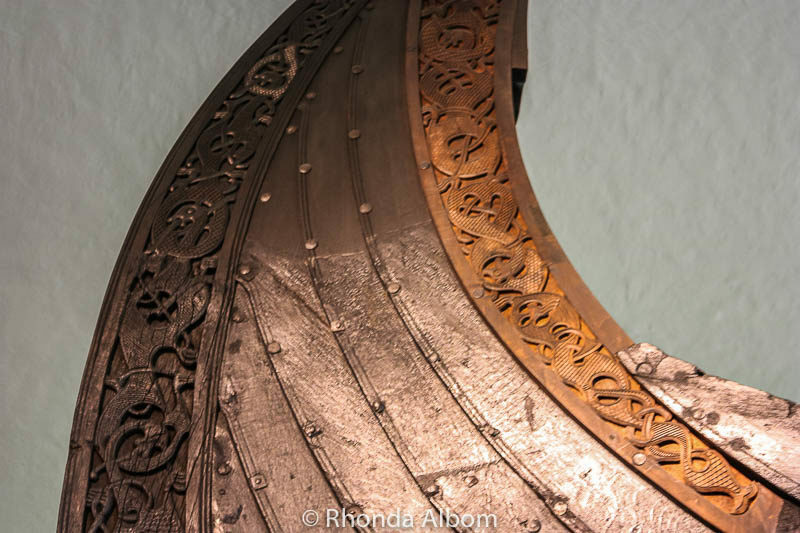 The ships in the museum are from three royal burial mounds nearby the Oslo Fjord. They were buried more than 1,100 years ago to carry their royal owners to “the other side”. A closer look at some of the detail. Next, we took the tram to Holmenkollen, the ski jump used in the 2011 world championships. From the top on a clear day, you get 360-degree panoramic views of the city. However, we were there on a rainy and overcast day. We did get the exciting view looking down and imagining what it would be like to do a jump. I assure you; this is NOT a sport for me! The attached museum offered history and was interesting, even with the language barrier. 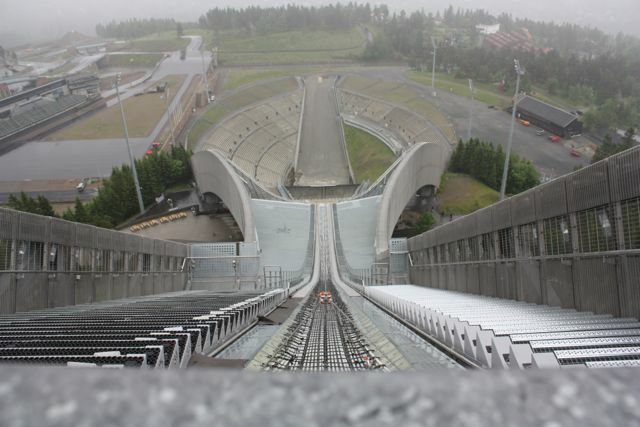 Looking down the Holmenkollen Ski Slope. 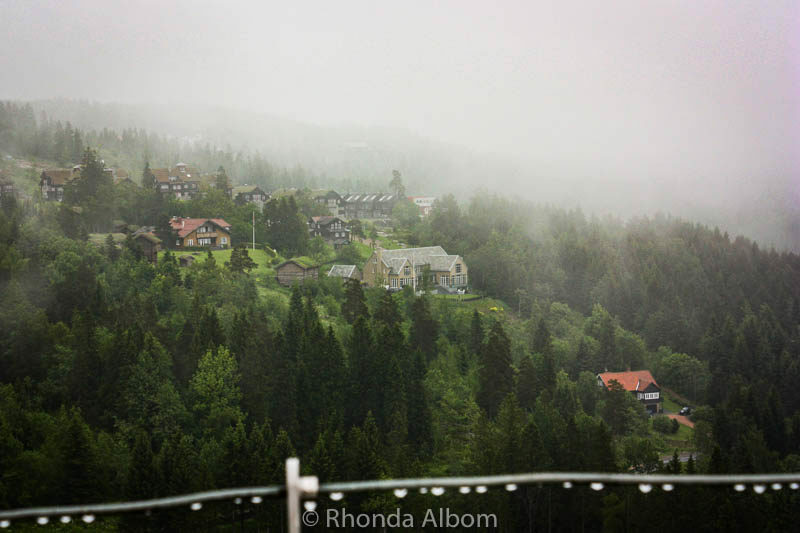 Our limited view through the rain and fog still let us capture the beauty of Oslo. 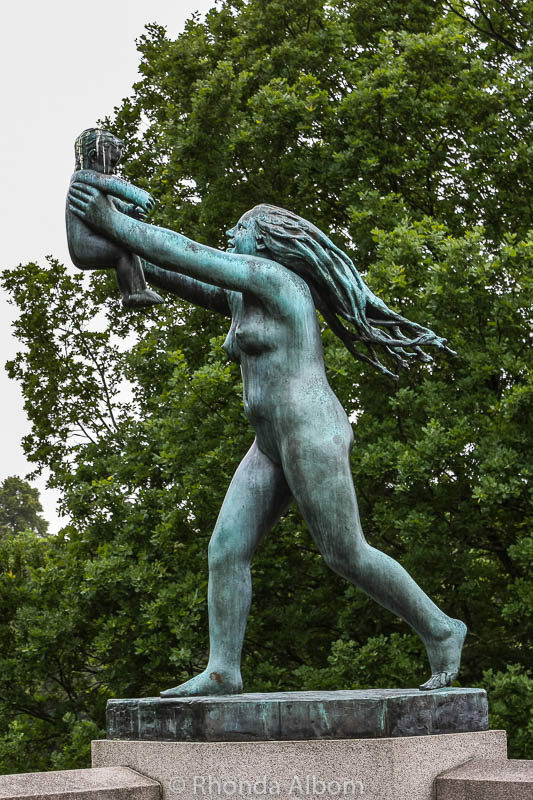 Vigeland Sculpture Park contains over 150 sculptures by the famed Norwegian sculpture Gustav Vigeland, themed around the circle of life. 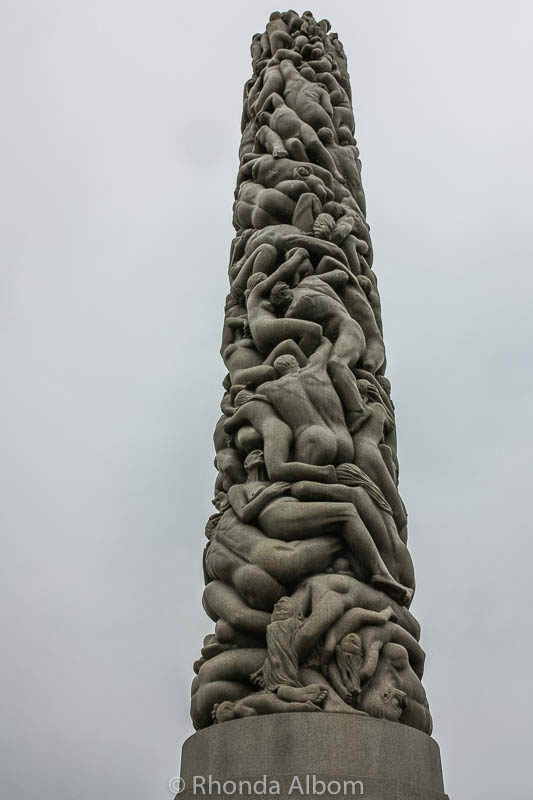 To preserve an air of timelessness, Vigeland chose to carve each the sculptures (except the one of himself) without clothes. The effect was successful, as even today, people can identify with the sculptures. As naked, we still look the same as we did in the early 1900s. 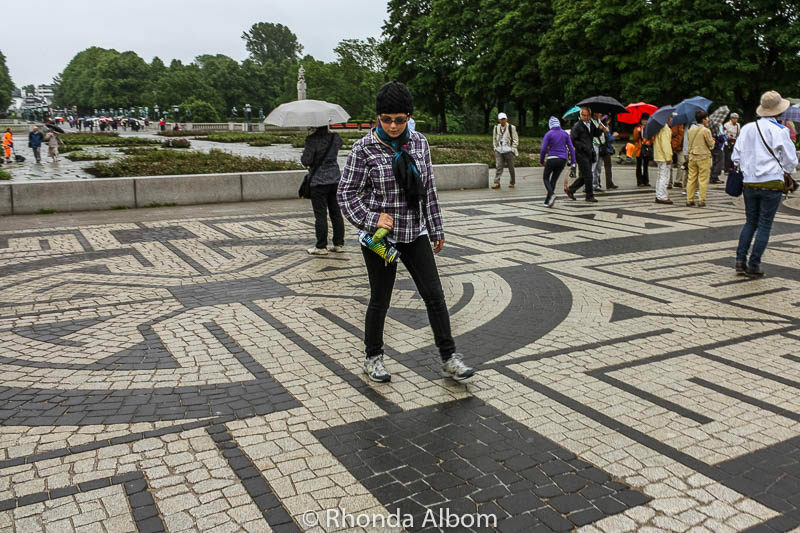 The tile pattern at the entrance is actually a labyrinth. 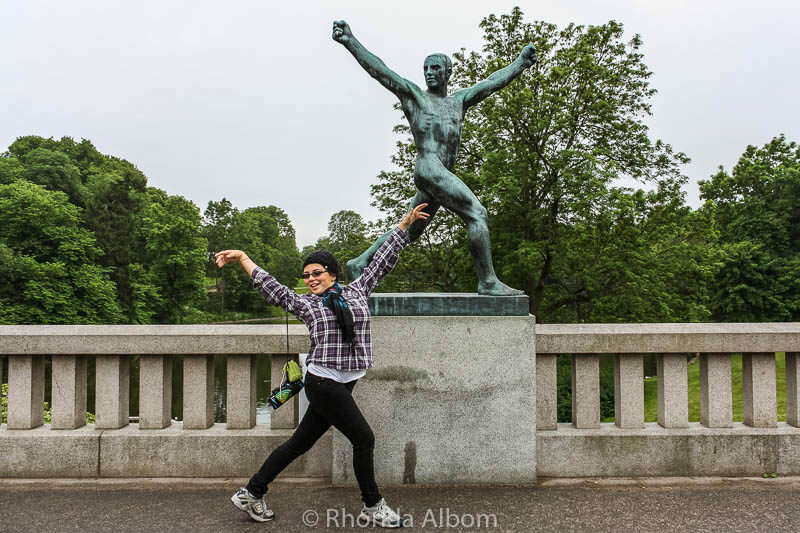 A few more sites we managed to see with only one day in Oslo. 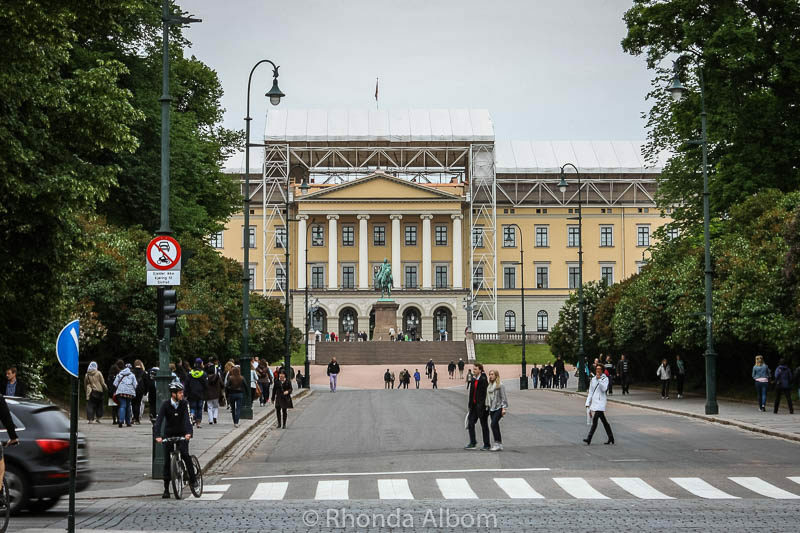 The royal palace in the Kingdom of Norway is in Oslo. A tall ship docked in the harbour. We finally got a lovely view of Oslo from an upper deck as we sailed away on the MSC Opera. 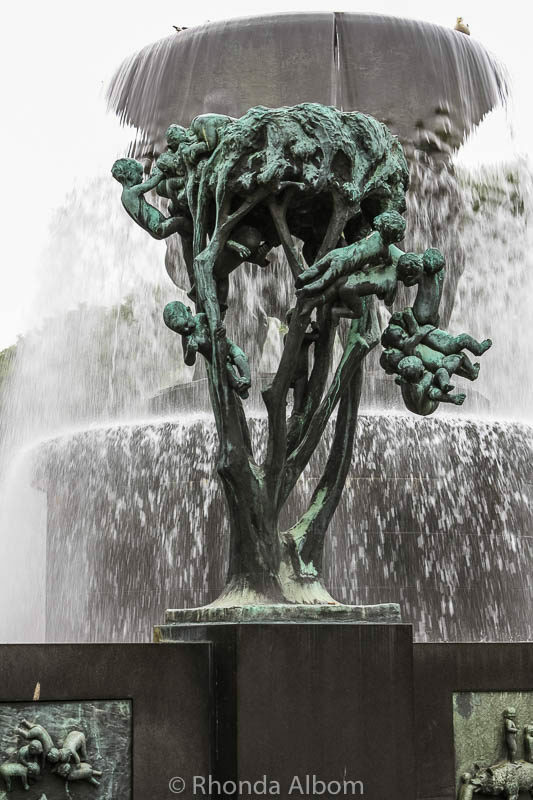 Vigeland Sculpture Park has free entry. Oslo is an easy town to get around with public transportation, but if time is limited, I would recommend a guide with a car. We lost too much time walking to stations and bus stops, or in waiting for the tram to arrive. 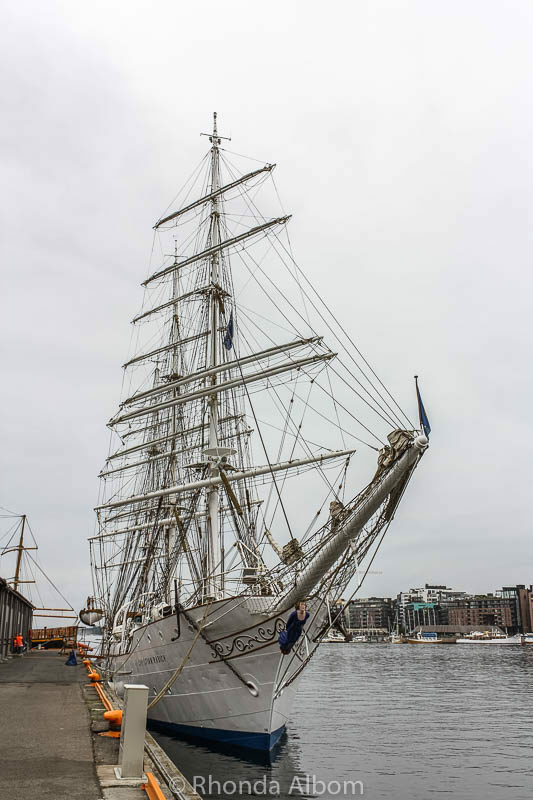 If we were to do this again, we would have selected one of the Olso cruise excursion options with Viator, as many offer a worry-free guarantee. Norway is expensive. If you are planning to stay overnight, check Booking.com for the best prices. 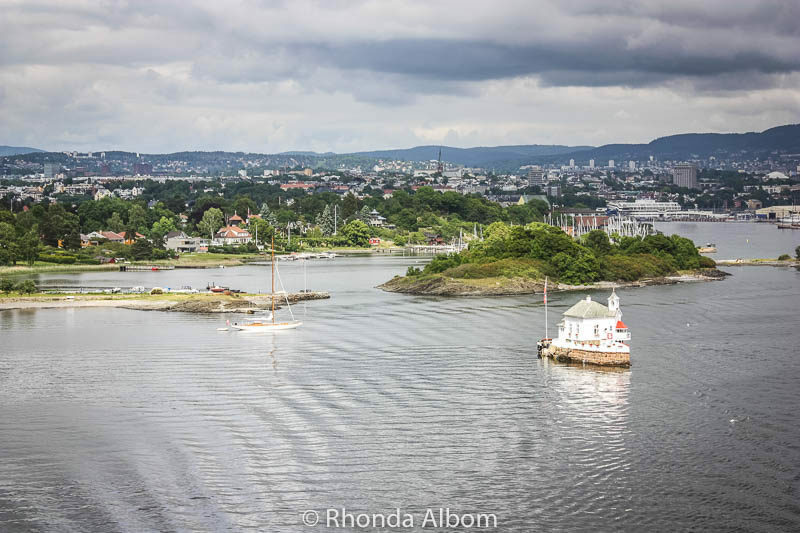 If you are cruising into Oslo as a port stop, be sure to check out 25 Tips for Cruising that Everyone Should Know. Have you been to Oslo? Which were your highlights? 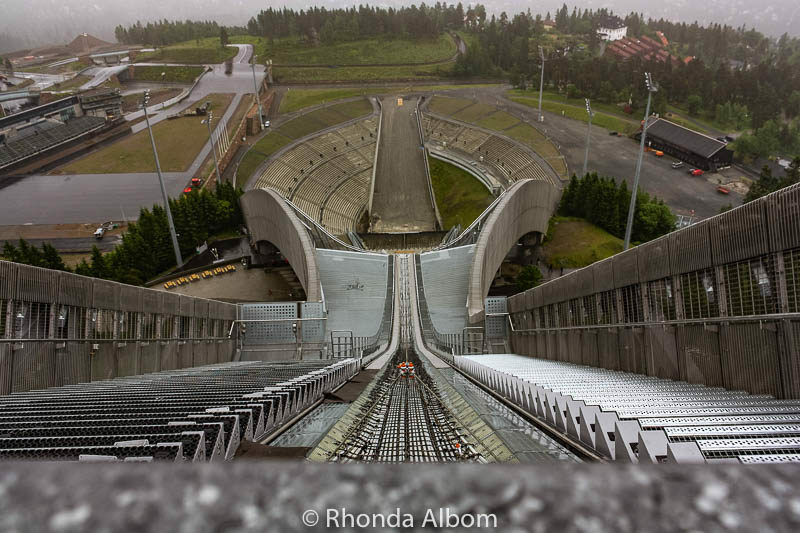 I would really struggle at the top of the ski jump, but I am sure the view is worth it. 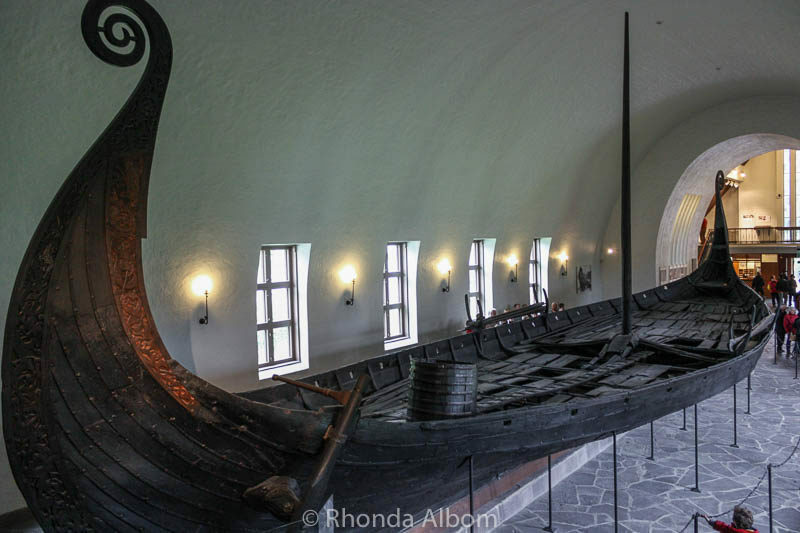 The Viking museum must have been really impressive, would love to go. It’s really safe, there was no way to fall off – the race gate was locked up tight. I think you would have really hated the very top, where the outdoor view platform was, but with the fog, there wasn’t a reason to spend too much time there. Holmenkollen is the hill you see on the north western side of Oslo, and here you’ll find one of the most popular recreational areas in the city; Nordmarka. Especially Tryvann and Frognerseteren are great starting points for hikes and trips summer and winter alike. That’s pretty cool Lynne! You have such an exciting family life. I am the only member of my family (original family – parents, brothers) not to get to Norway – I am feeling left out now that I think about it… No, not really. 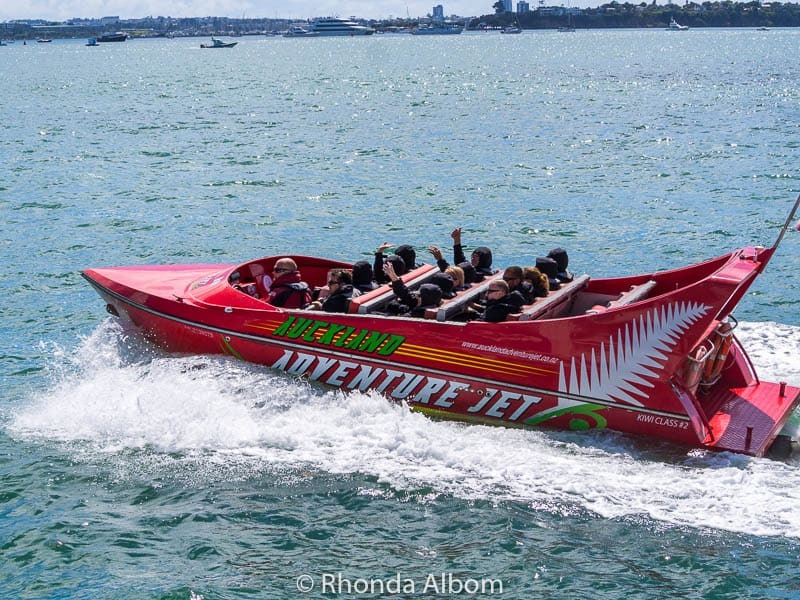 You’re right – I have had some amazing travel experiences and memories I will treasure. One day, maybe you will add Norway to your list of great memories – but save you money first, after Moscow it is the second most expensive place we have been. It might have been the the most expensive had we not pre-paid our cruise, so meals were included. Wow! I always dream of settling down in any of the Scandinavian countries once we are retired, the kids are away with their own jobs and family. So far I nver had a good fortune to visit the countries, but would eventually love to..! Norway is beautiful, and that all day/night sun is pretty great in the summer, but I don’t think I could handle the dark winters. But that’s me. I’m sure this is right up your kids’ alley. You know it. 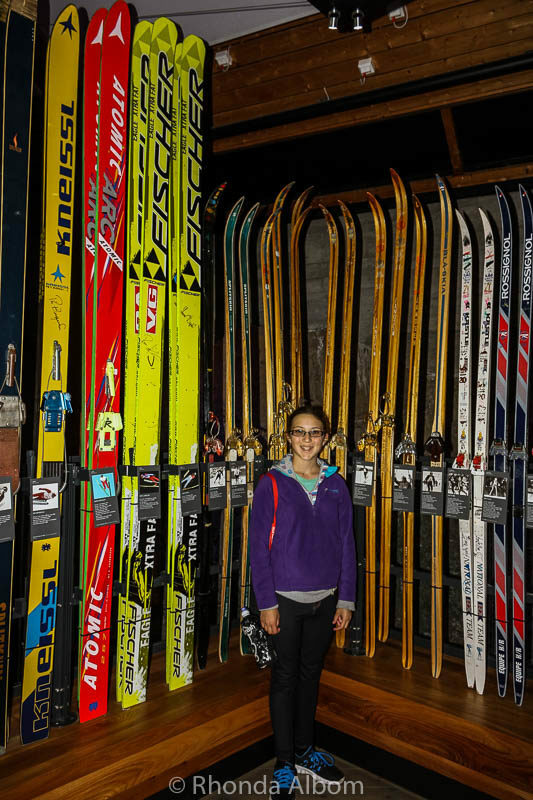 Sarah tried ski jumping when we were in Colorado and really loved it. Funny thing is, they won’t let women do it in the Olympics. How cool. I’ve a couple of blogging buddies that live in Oslo. We got together last year here in California. Had a fabulous time. How fun. I am glad I am not the only one who had met up with blogging friends. For us it has been in China and UK so far. We also had a fabulous time.